Keep Product & Profits Flowing with the Reliable R-Pak. When fast is what you need, the R-Pak series is where the industry turns for proven performance. Our flagship R-Pak modular system for small pouches is built with reliability and accuracy as a foundation, yielding inherently higher overall equipment effectiveness (OEE). 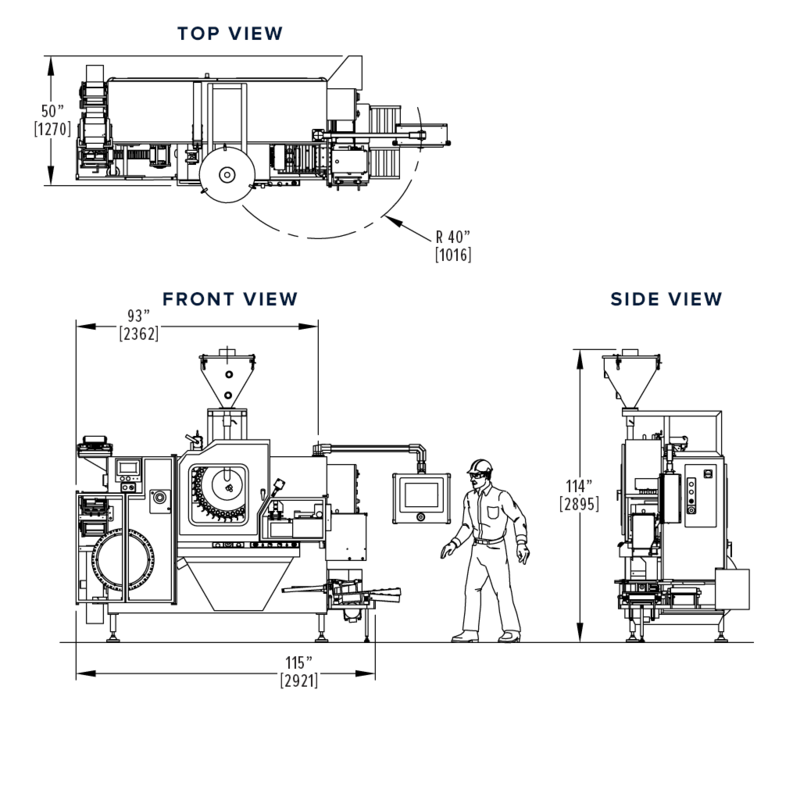 The R-Pak filler horizontally forms, fills, and seals packages containing powder or granular product with high throughput utilizing continuous motion. With its small footprint and centralized controls, combined with a capability of a throughput of up to 6,000 units per minute for both free-flowing and non-free-flowing products, the R-Pak is the economical, reliable and adaptable system you need to increase your profitability. The proven performance & high-speed throughput of the adaptable R-Pak dry packaging system helps you maximize profitability & productivity. Pouch Size: 1.0" x 1.0" up to 7" x 8"
The R-Pak series is one of the most versatile around. The modular components let you easily configure our machines to meet your changing dry packaging requirements. With throughputs of up to 6,000 units per minute for both free-flowing and non-free-flowing products, Ropak keeps your business moving.